Not long ago I posted an article on the Top 20 Coolest Buildings in the Twin Cities. This was a difficult task because there are so many, and I didn’t always have a great photo of each of them. Plus I thought of plenty more almost immediately after writing the original post. Anyways, there were 5 more I felt compelled to write about, as an addendum of sorts, to the original list. Here they are! 5. Van Dusen Mansion, Minneapolis. This beauty in the Stephens Square neighborhood of Minneapolis, was built in the late 1800’s using Minnesota-quarried sioux quartzite and classic Romanesque architecture. The owner, George Washington Van Dusen, was an entrepreneur who founded Minnesota’s first and most prosperous grain processing and distribution firm in 1883. The Mansion, now available to rent for events and such, was recently part of an investment group called the Oxford Group which got nailed for an elaborate Ponzi scheme around 2008. 4. Pillsbury Hall, University of Minnesota, Minneapolis campus – The U of M campus is packed with all kinds of amazing buildings. It was difficult to pick a favorite among the dozens of them, but I decided on Pillsbury Hall due to its history and unique look. 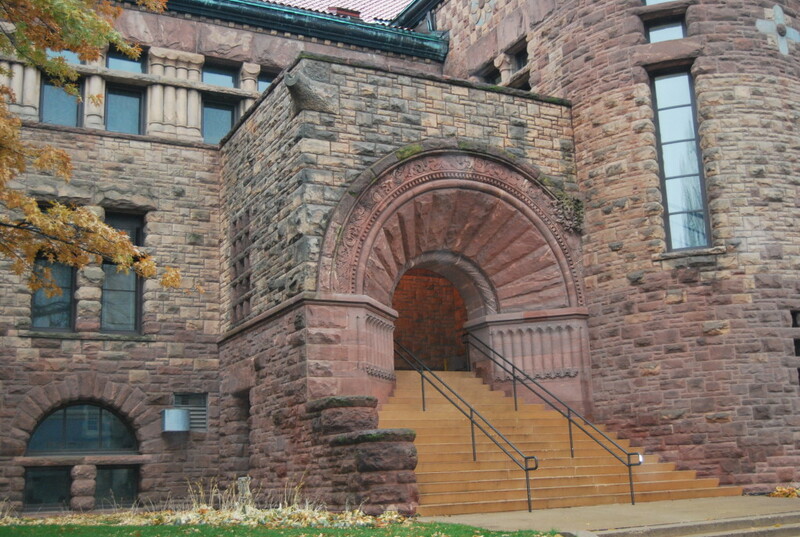 Also built with Minnesota-quarried rock from near Banning State Park, it showcases Richardsonian Romanesque architecture and was built in the late 1800s, making it one of the oldest buildings on campus. 3. Old Main, Hamline University, St. Paul – Completed in 1884, Hamline’s Old Main was and still is the visual centerpiece of the private University in St. Paul. At that time the structure was home to bascially all of the university’s functions, including classrooms, offices, and a dining hall. 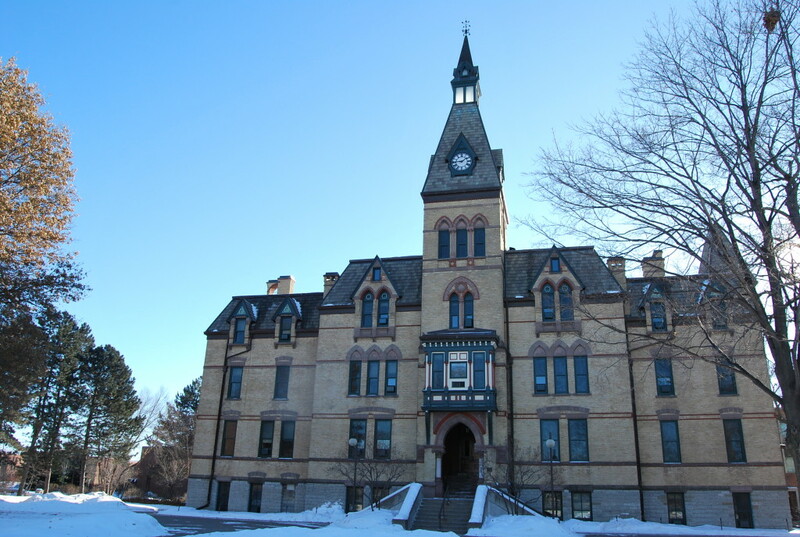 The building now is home to administrative offices, an auditorium, the university president’s office, and a four-stories high bell tower, which is rung each year on commencement ceremonies. Its construction is of Victorian Gothic architecture and it is also listed on the National Register of Historic Places, for obvious reasons. 2. 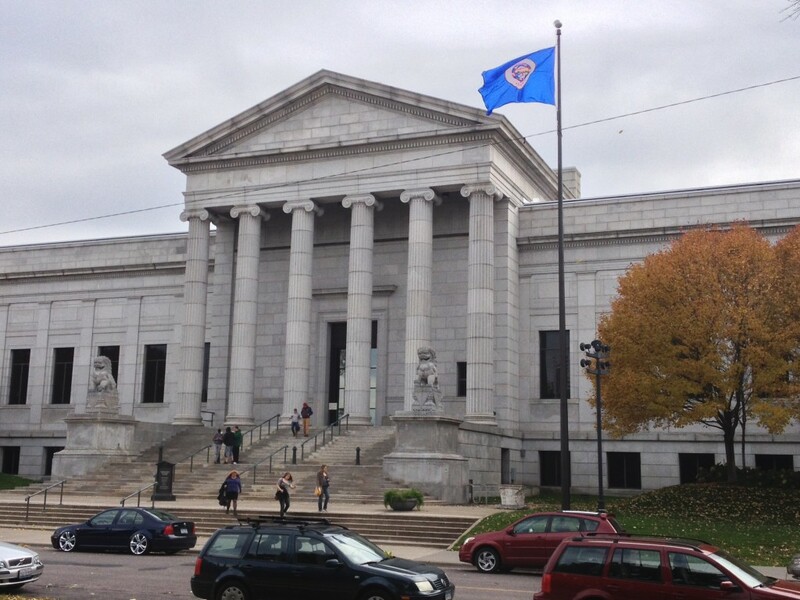 Minneapolis Institute of Arts, Minneapolis. Built in the Beaux-Arts architectural style back in 1915, this huge, beautiful facility is a government-funded public museum, meaning the Institute does not charge an entrance fee. There is a lot to see here, with fixed as well as rotating exhibits throughout. It’s found in the Washburn-Fair Oaks Mansion District of Minneapolis, which is home to many beautiful old churches and mansions. 1. 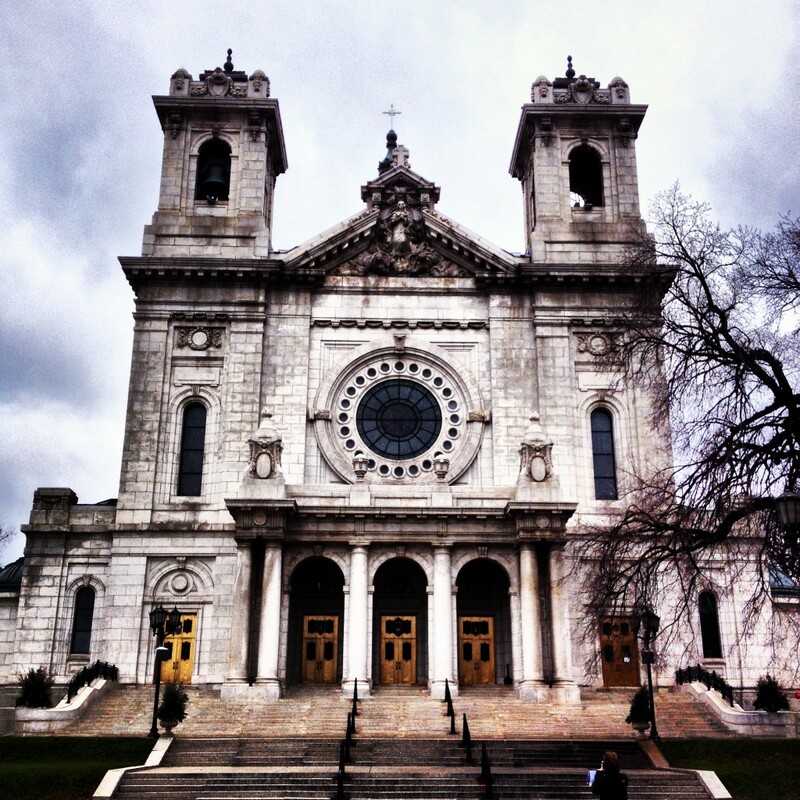 Basilica of St. Mary, Minneapolis, MN – The architectural masterpiece known as the Basilica in Minneapolis probably should have made my original top twenty but the Cathedral in St. Paul was fresh in my mind at the time of writing. 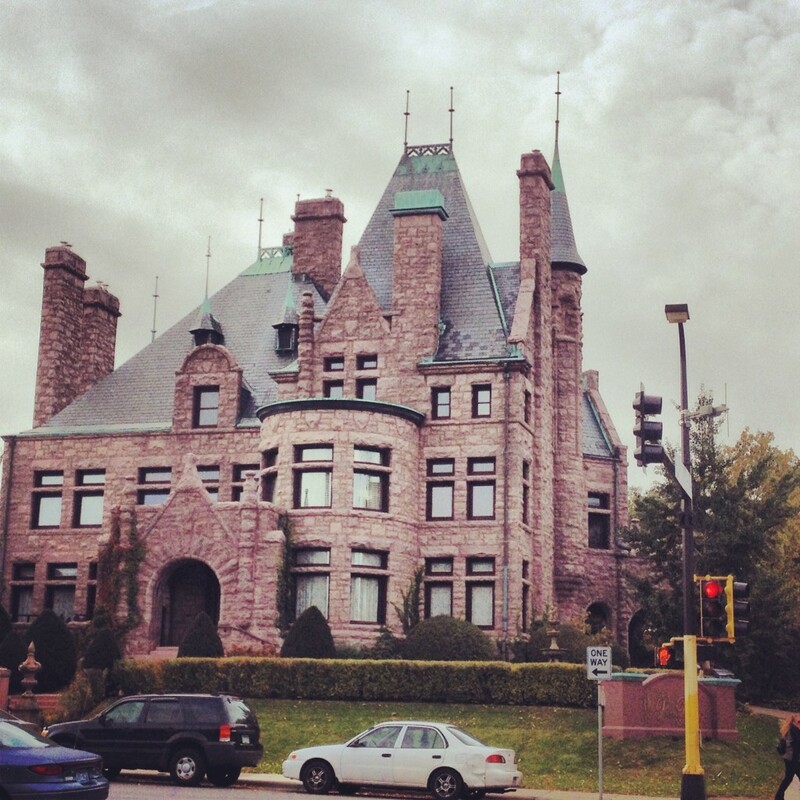 This Minneapolis landmark was built in the early 1900s and displays examples of Baroque and Beaux-Arts architecture. The inside is incredibly ornate and wonderfully detailed, as one would imagine, and the Basilica holds a music festival on the grounds each summer called the Basilica Block Party as a fundraiser for the structure and local charities. This is a fascinating, beautiful, incredible place. 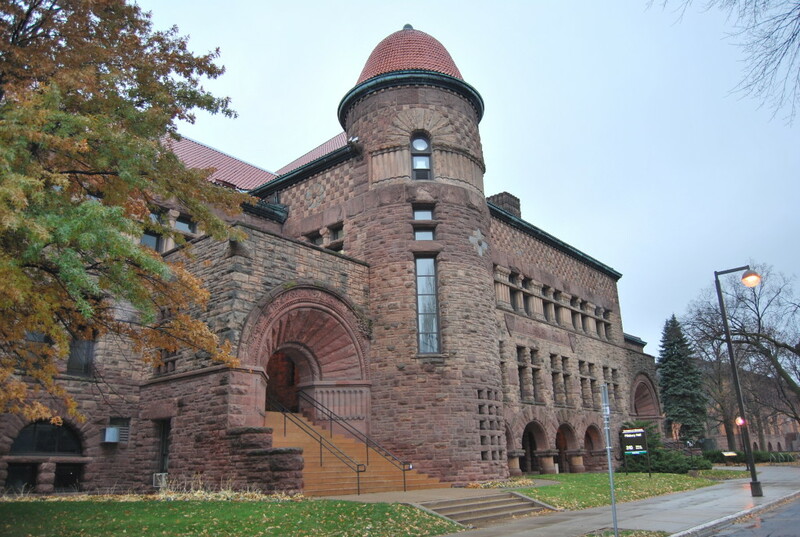 More notable honorable mentions: The University of Minnesota Armory, Lindeke House (Summit Ave), Governor’s Mansion, The F. Scott Fitzgerald House, Westminster Presbyterian Church, Minneapolis. Very nicely written. Thank you.